Of course, my first reaction was everyone has a conscience. Whether they decide to use it is entirely another matter. But the question stayed with me for several days. 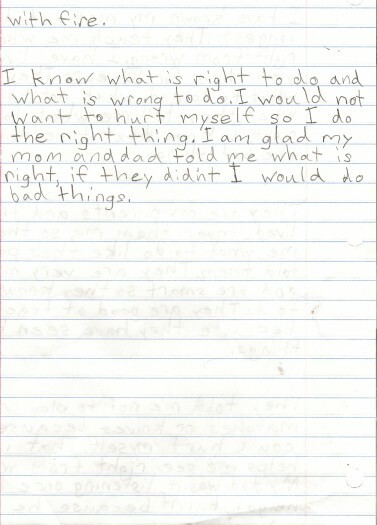 Shortly before Gage asked his question, Briggs came home with a short essay about right and wrong (see below). I have kept in on my beside table for several weeks. Anything personal he brings home, I treasure. But this essay rang so true. 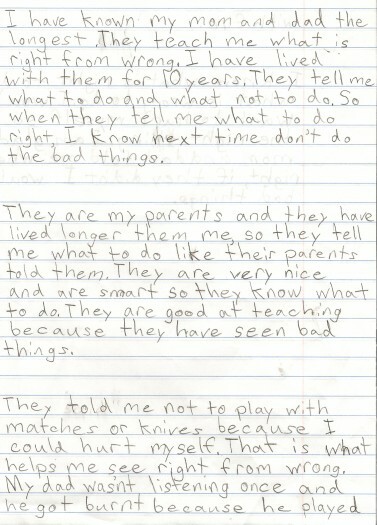 We have such an enormous responsibility as parents. Unlike many other traits, I don’t believe we are born with a conscience. 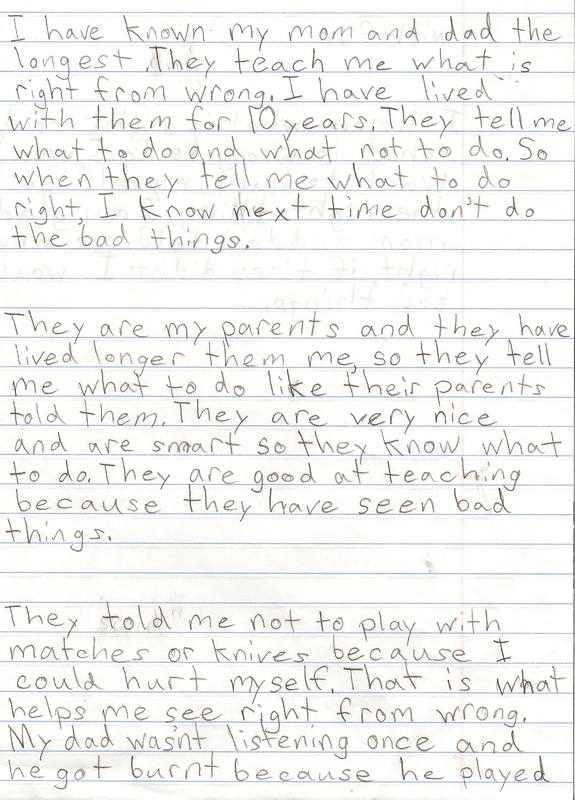 It is one of those traits that is molded and created for us by our parents at a young age. 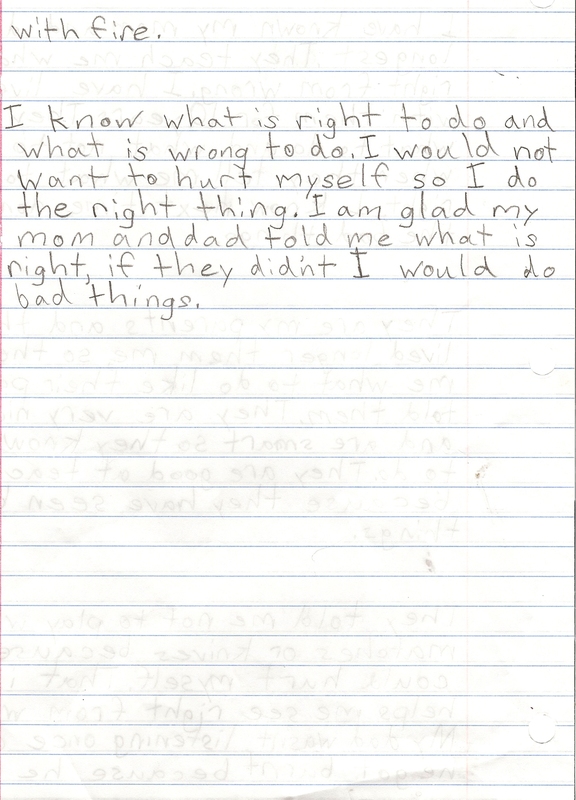 I feel so honored to be a parent raising children to make the right choices. Now…you certainly know from MANY of my previous posts that they don’t. But I mean the real choices they will make someday that have real consequences. Briggs gives me great hope that we are making some strides in the right direction. May the rest follow.